Search below for clear informative instructional videos on all Nagios products. 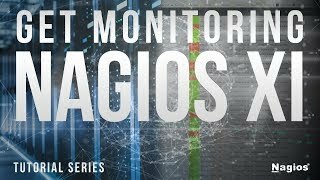 This first video in the Nagios XI Get Monitoring series will teach you the concepts and architecture of how to monitor things in your IT environment. This tutorial shows a full diagram including a network and its relation to alerts and visualization and will explain using agents and a native protocol such as SNMP and WMI. Active monitoring and passive monitoring are also explained including using an SNMP trap. See how Nagios XI works in a very basic way. 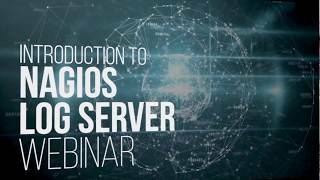 Learn how to quickly install Nagios Log Server on Microsoft Windows using a virtual machine like VMware Workstation player in this tutorial. 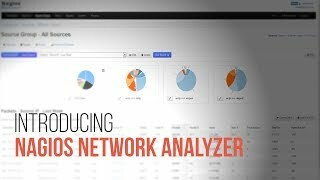 Network Analyzer provides a more in-depth look at everything going in and out of your network. Get a precise glimpse at potential risks that might otherwise be unseen, detecting threats and vulnerabilities before they reach your network. Seamlessly integrate with Nagios XI and Nagios Core to get the most out of your monitoring needs. This video provides a brief tour around the home screen links and landing page in Fusion 4. 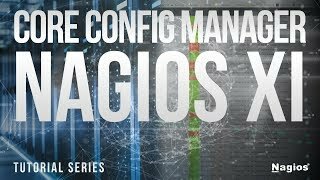 Learn the basics of functioning the Core Config Manager in Nagios XI, a powerful tool that manages your configuration files for Nagios Core. 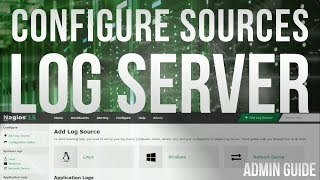 This video will demonstrate how to Manually Install Nagios Log Server for organizing and managing Log Data. This video will assume that you are using a current version of a RHEL compatible system. Note that Nagios Log Server is supported only on RHEL and CentOS linux servers. Click here for manual installation instructions. Shamas provides a walk-through of the interface & key features of Nagios Log Server 2.0, a powerful log management solution that enables you to collect, query, alert, and archive your infrastructure logs. 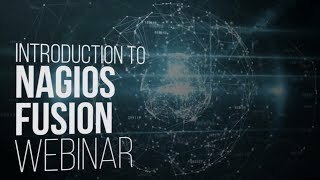 In this webinar, our expert, Shamas, provides a high level overview of Nagios Fusion and its many valuable uses in your organization for ultimate network visibility of all things monitored. Nagios Fusion is designed to provide IT staff with a means of visualizing the operational status of Nagios monitoring servers across an organization�s entire IT infrastructure. Click here for the free download page (new window). 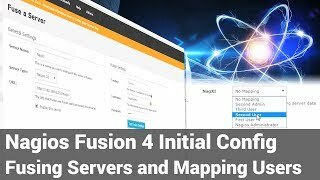 This Fusion tutorial discusses initial configuration and how to both fuse servers and map users. 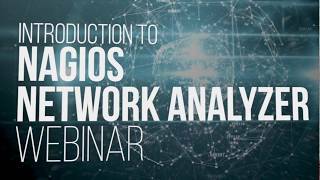 This video will show you how to install Nagios Network Analyzer manually. 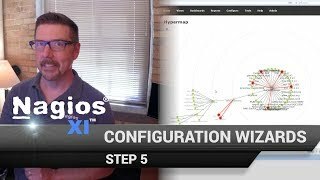 This video introduces you to the first three steps of configuration wizards to configure anything in your network you want to monitor. 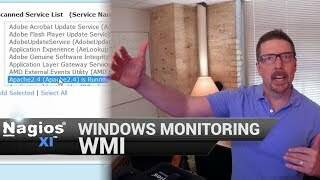 Learn how to monitor a windows workstation and set up active monitoring with an agent. 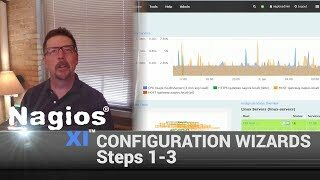 This will cover steps 1-3 for using configuration wizards in Nagios XI. 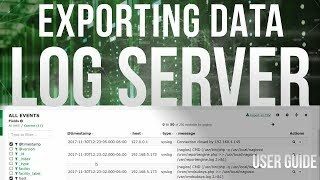 Once you've configured log collection and queries, learn how to export data using this new feature in Log Server. Exported formats include CSV files. 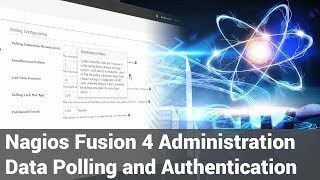 This Fusion tutorial discusses administration capabilities for data polling and authentication. 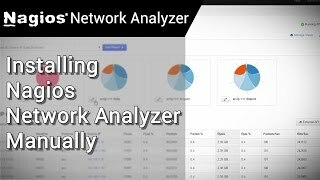 Nagios Network Analyzer is a commercial grade network data analysis solution that provides insight into your I.T. infrastructure and network traffic. Find security threats and integrate with Nagios XI with the ability to monitor sources and source groups in the XI interface. 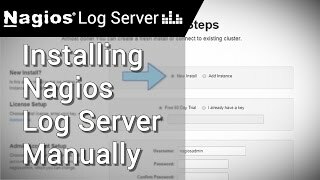 How to add a new instance to a Nagios Log Server Cluster for redundant or distributed log monitoring. 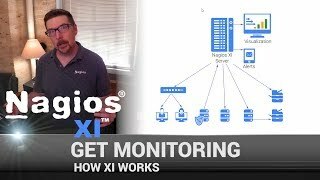 Learn how to manage plugins with advanced monitoring in Nagios XI. Find out what a plugin is and use configuration wizards as well as learn how to download plugins from the Nagios Exchange. A document is also included in this video for anyone who wants to write their own plugin. 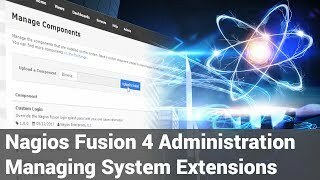 This video provides a brief tour of the Views menu item and shows how to access and add View tools in Fusion 4. Dashboards are a powerful feature of Nagios Fusion designed to provide individual users with customized information they find useful. Dashboards are often used to display important, relevant information where it is needed most. 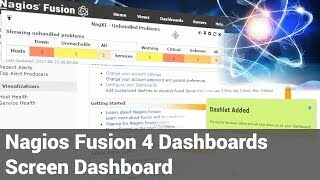 This tutorial shows how easy it is to add, manage, and edit dashboards in Nagios Fusion 4. Customizable dashboard management ensures the right information (for each user) is displayed for maximum efficiency. 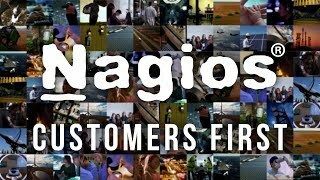 Across every industry, every continent, every customer -- Nagios is monitoring what's most important so teams around the globe can continue to innovate, save lives, and make the world a better place. | We can't wait to help your team! Tell us how you are changing the world at sales@nagios.com. Got Nagios questions? Find your answer here. Pro Tip: Access the Nagios support forum to get your XI, Log Server, Network Analyzer, Fusion, and Core issues or questions answered. Aaron and the team are here to help! Click here to access support forum. 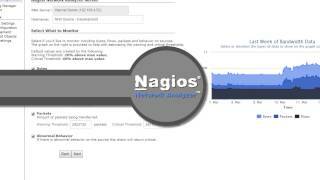 Learn how to search or query your log data in this brief tutorial video after you have set up your devices and applications to send logs to Nagios Log Server. 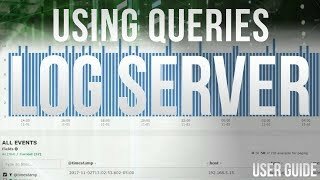 This video will cover using queries, filters and powerful search techniques. 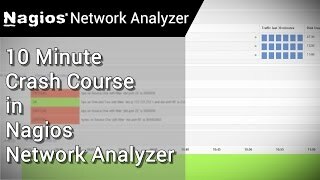 A brief ten minute introduction to Nagios Network Analyzer that gives you a glance at some of the major features currently implemented for your netflow data analysis needs. 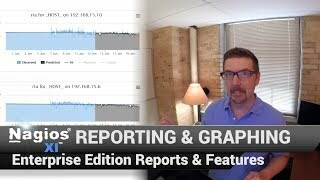 The first video in the Reporting and Graphing series will cover an overview of reporting in Nagios XI, covering different reports, different types of data Nagios XI records and graphing options. Learn about performance data and state data. Performance data includes CPU utilizations and bandwidth usage. 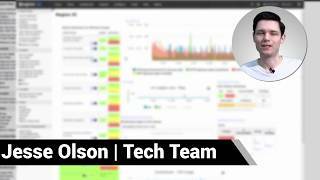 Aaron will also guide you through availability summary and bandwidth usage report as well as show you how to download an average host availability report and average service availability report. 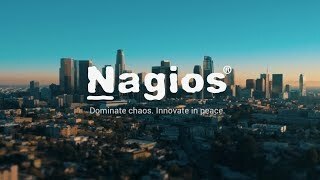 Across every industry around the world & beyond, Nagios delivers peace of mind while monitoring all critical IT infrastructure and network assets. Trusted by global leaders in innovation and small businesses alike, our software suite combines the industry standard in IT infrastructure monitoring - Nagios XI - with Log Server and Network Analyzer for total network monitoring, graphing, reporting, and more. Get peace of mind & download the Nagios suite today. 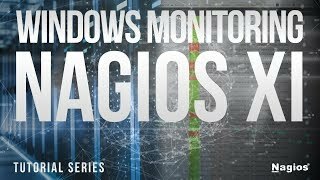 This video will show you how to monitor your network in a windows environment with Nagios XI using WMI. Monitor event logs, discover services and processes with the Windows WMI Monitoring Wizard. 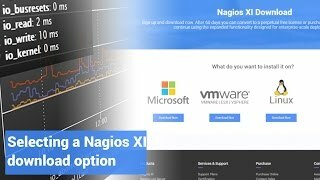 This playlist shows how to quickly install Nagios XI in less than 10 minutes on Microsoft Windows using VMware Workstation player. For other virtual machines, see the guides for vSphere or Hyper-V.
After logging into XI, we show you around the dashboard and how to monitor your first webiste using a configuration wizard. 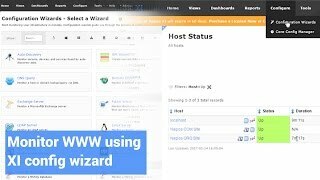 This video shows how to monitor a website URL using our popular configuration wizards. Monitor virtually anything in just a few minutes and with a few clicks. Nagios Log Server 2 is the easy and powerful way to collect and analyze your application and server log data. 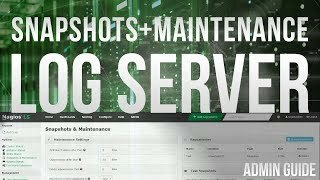 This video will demonstrate how to Manage Backups and to provide Maintenance on Nagios Log Server through the use of the Administration menu. 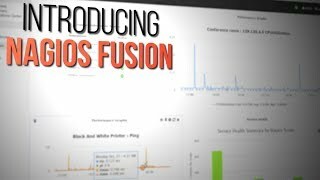 Nagios Fusion is designed to provide IT staff with a means of visualizing the operational status of Nagios monitoring servers across an organization's entire IT infrastructure. 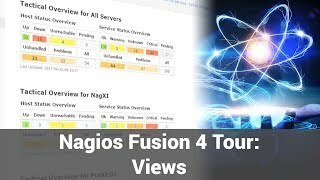 Nagios Fusion can display the status of both Nagios XI and Nagios Core servers, making it the ideal solution for tracking the status of monitored elements across your entire network. 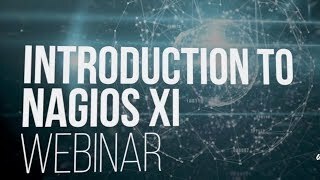 See an introduction to Nagios XI! 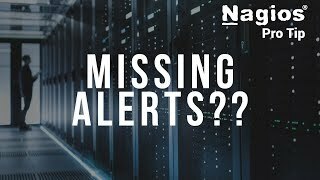 Our expert, Shamas, provides a high-level overview of the features and benefits of Nagios XI, the standard in IT infrastructure monitoring and alerting software. Click here for the free download page (new window). 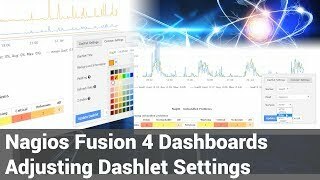 This dashboard tutorial shows how to quickly adjust dashlet settings in Nagios Fusion 4. 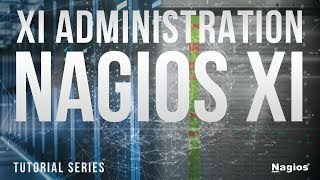 Nagios XI: Dominate chaos. Innnovate in peace. 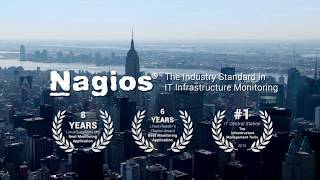 Nagios XI provides awareness & peace of mind about what's going on in your critical IT infrastructure so you can focus on innovation. How do you know if your log server is struggling for resources? How do you know it's time to get more instances running? 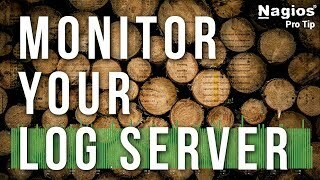 In this Pro Tip, Aaron shares why it's important to remember to monitor your log servers! 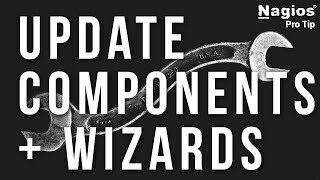 Aaron shares a tip about how to ensure you're running the latest components & wizards even if you haven't updated your Nagios version recently. Check it out! Experiencing competing checks between various hostgroup assignments? 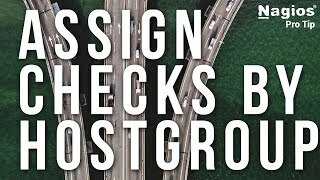 Master how to assign your Nagios service checks using hostgroups in this Pro Tip from Aaron. From tracking uptime and downtime to forgetting to track your overtime, Aaron has a special tip for you in the midst of putting out the fires of IT this week. 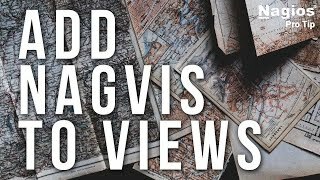 The views rotation in Nagios XI is easily customizable, but what about adding NagVis maps into your views? With this Pro Tip, you'll be able to turn any URL into a custom view. 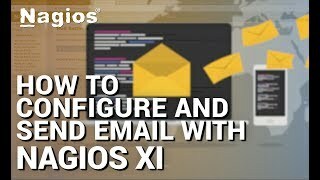 This video shows you how to send emails with Nagios XI using an external mail server. 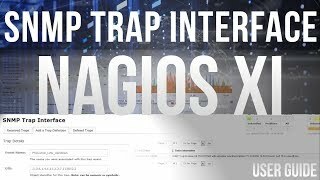 Learn how to upload and manage MIB files in Nagios XI, including how to import SNMP trap details upon upload or at a later time. 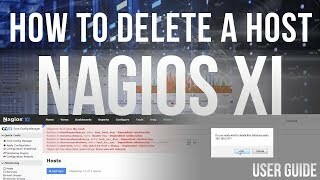 Learn two different ways to delete a host in Nagios XI. Everyone loves a good SNMP trap, but how do you ensure you get all the SNMP trap notifications & log entries? 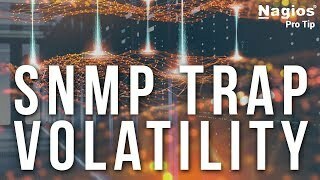 Aaron shows how to in this Pro Tip using the special logic enabled with the volatility setting. Aaron shows how to use the SNMP trap interface introduced in XI 5.5.0. Learn how the fastest way to get your Nagios questions answered in this Pro Tip, Aaron shows his process for answering your questions: he Googles! Using the search bar on Nagios.com or Google.com are the best methods of finding answers. 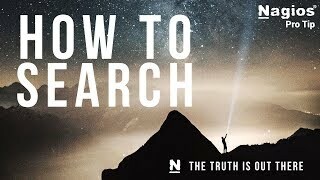 But do you know WHAT to search for? Keep watching to learn more. 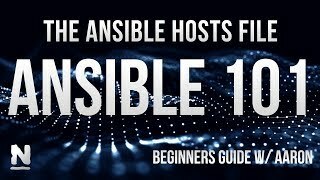 Learn how to quickly get Ansible up and running in this 5-part series. Watch the series to make the most of the Ansible playbooks included with Nagios XI 5.5+. Learn how to use Ansible playbooks to automatically deploy monitoring agents and self register hosts for monitoring with Nagios XI 5.5+. 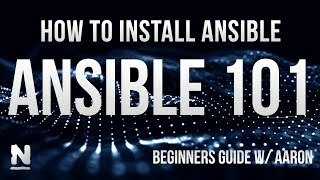 Learn how to easily install Ansible in part 1 of 5 videos showing what you need to know to get Ansible up and running. 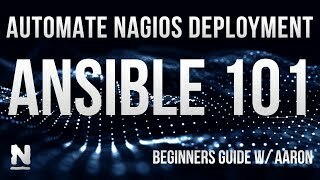 Watch the series to make the most of the Ansible playbooks included with Nagios XI 5.5+. 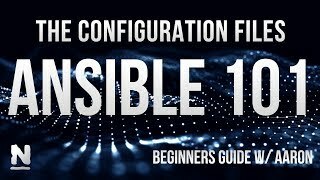 This video (part 3 of 5) shows how to best understand and use Ansible hosts files: both the default hosts file and additional hosts files. Tip: learn about the power of groups in the hosts file. SSH keys automate remote host logins. Learn how to quickly leverage this power for Ansible & check_by_ssh in this Part 2 of 5 videos. 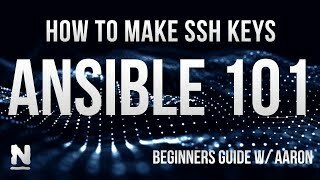 Aaron shows you how - from either an Ansible control machine or a Nagios monitoring server - to run ssh-keygen and ssh-copyid. Want more detailed IT infrastructure monitoring? 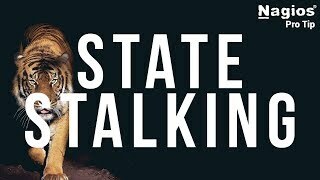 In this Pro Tip, Aaron shows what state stalking can do for you with logging more details. 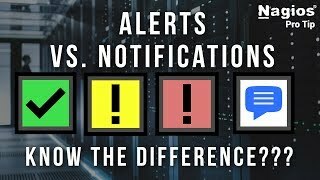 Alerts and notifications are related but very different- Aaron shows the crucial difference. Watch to the end to see how event handlers fit in! Note: A single alert may have multiple notifications based on the contacts assigned and the notification time periods specified for the contacts. This is one reason why a notification might not get sent for an alert. 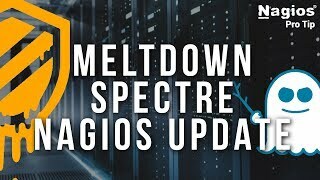 Aaron gives a Pro Tip update on the Meltdown & Spectre vulnerabilities and what to do with your Nagios system. Aaron and the team is here to help as you assess your infrastructure monitoring needs and response to critical vulnerabilities. 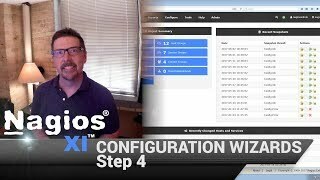 This video is step 5 in the Nagios XI configuration wizard series. Define host groups, service groups and the parent host or parent child relationship. These are important to know when you are monitoring your entire environment. Learn how to configure these with the core config manager. Add a new host group and use service groups for your storage performance or for machines on a hypervisor. 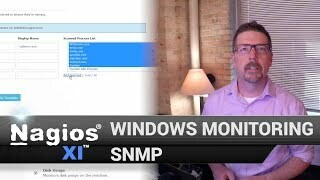 This video will cover windows monitoring with SNMP in Nagios XI including discovery. It will take you through the configuration wizard including SNMP community and SNMP services. The third video in the Get Monitoring series will explain using configuration wizards step 4. Learn notification settings and what to do if a problem is detected. Alert notifications are easily explained with contact groups. Learn how to configure with the core config manager and alerting. This playlist shows how to quickly install Nagios XI in less than 10 minutes on Microsoft Windows using Hyper-V Workstation player. For other virtual machines, see the guides for VMware or vSphere. 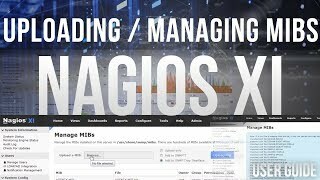 This video will show you how to install Nagios XI on Windows using VMWare import. 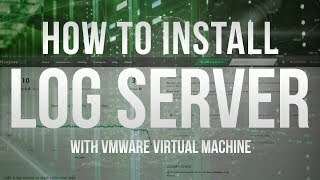 This playlist shows how to quickly install Nagios XI in less than 10 minutes on Microsoft Windows using vSphere Workstation player. For other virtual machines, see the guides for VMware or Hyper-V. Pro Tip: Need your routine status check or plugin to report the opposite state? 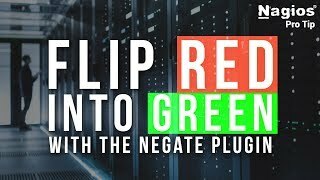 Aaron shows how to switch a closed port with a Critical state to a closed port with an OK state using the negate plugin in Nagios XI. 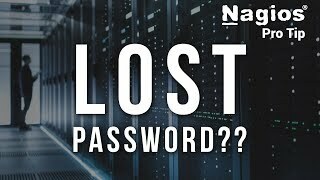 Pro Tip: Lost or forgot your password and locked out of Nagios XI? 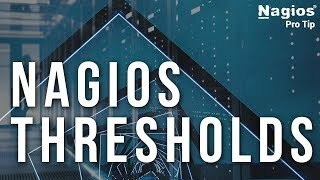 Aaron shoes how to reset your Nagios XI admin password with an external contact email, the command line, or localhost email. 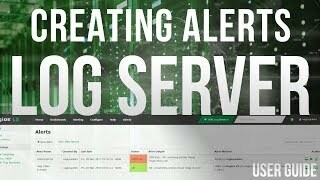 Learn how to add and modify users in Nagios Log Server with this brief tutorial for administrators. Once you've configured log collection and queries, learn how to create alerts based on log events in this tutorial. 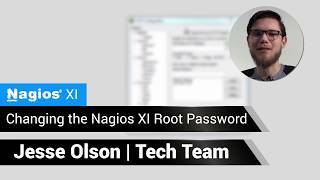 We'll show you how how to pass your check results to a Nagios XI or Core server from Log Server. 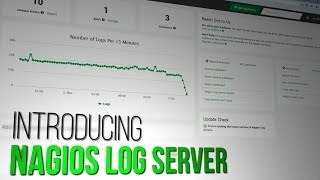 How to configuring device & application log data to be sent to Nagios Log Server 2 for real time monitoring of logs from linux, windows, routers, workstations, software, and anything else you can imagine. Should you change RRD retention periods? 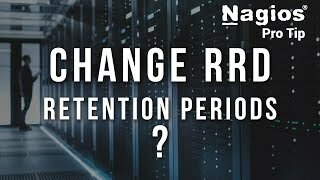 Pro Tip: How do you change RRD retention periods for Nagios XI? Should you? Aaron has you covered with this Pro Tip. 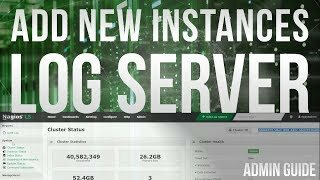 New features in Log Server 2! 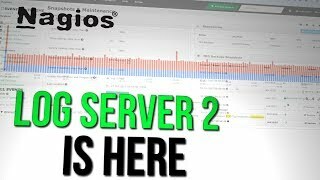 Nagios Log Server 2 is the easy and powerful way to collect and analyze your application and server logs. See what's new in this upgrade. Missing localhost alerts? Configure your localhost mail contact. Pro Tip: Make sure you don't overlook this localhost setting otherwise you'll miss out on the most basic of alerts for your system. 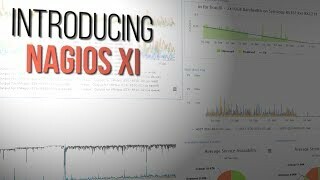 Introducing Nagios enterprise server and network monitoring software: Nagios XI. Nagios XI builds off the Nagios open source software Nagios Core, providing increased resources and further improvements in terms of scalability and extensibility. 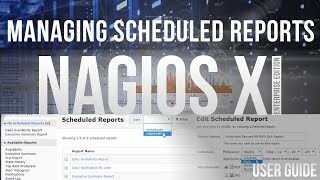 Nagios XI provides a central view of your entire IT operations network and business processes and monitoring of all mission-critical infrastructure components. 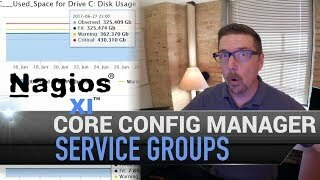 Learn how to do service groups in Nagios XI on the Core Config Manager the easy way. Rename your hosts and services and keep all the old perf data. Learn how in this easy tutorial. Need to move a Nagios XI instance from one piece of physical hardware to another? This easy tutorial from the XI Admin series will show you how to do it in minutes. 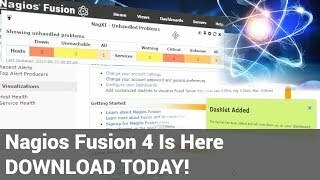 Nagios Fusion 4 introduces true multi tenancy along with the power and speed you need to stay on top of your critical infrastructure deployment. 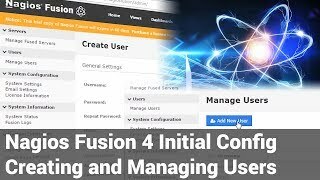 This Fusion tutorial discusses initial configuration and how to both create and manage users. This Fusion tutorial discusses administration capabilities for managing system extensions. 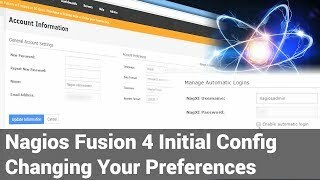 This Fusion tutorial discusses initial configuration and how to change your preferences. 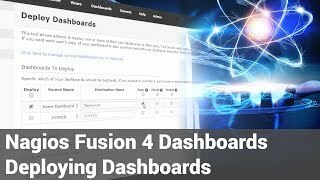 This dashboard tutorial shows how to use the screen dashboard that sits on top of the interface in Nagios Fusion 4. 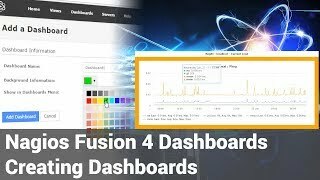 This dashboard tutorial shows how to swiftly deploy dashboards to other users in Nagios Fusion 4. 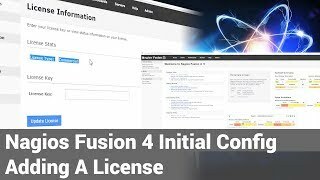 This Fusion tutorial discusses initial configuration and how to add a license key. 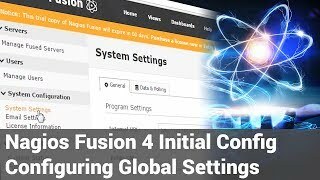 This Fusion tutorial discusses initial configuration and how to configure global settings. 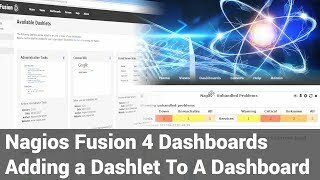 This dashboard tutorial shows how to easily add dashlets to dashboards in Nagios Fusion 4. 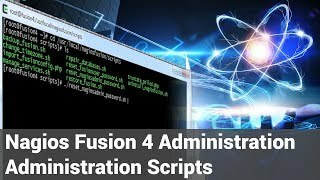 This Fusion tutorial discusses administration capabilities for administration scripts. 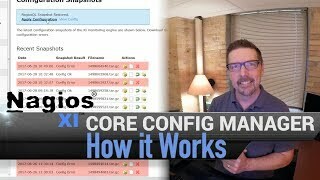 Manage host groups in the Core Config Manager with this easy walkthrough tutorial video - the second installment in Aaron's CCM series for Nagios XI. 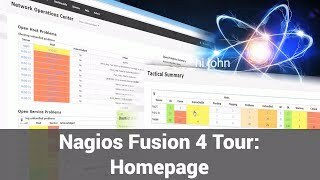 This video provides a brief tour of the Help section in Nagios Fusion 4. This video in the Reporting and Graphing series will teach you how to create graphs in Nagios XI with all the data from Nagios Network Analyzer. 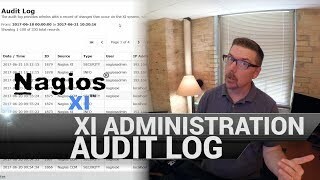 This video in the Nagios XI Administration series will cover the audit log and compliance audits. 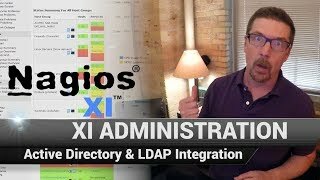 This video in the Nagios XI Administration series will cover active directory and LDAP integration. 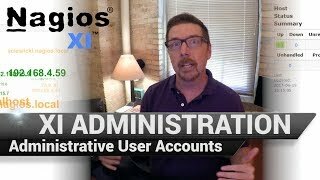 This video in the XI Administration series will cover non-administrative users including power users, executive user and a limited user and will show you how to run the bulk modification tool. 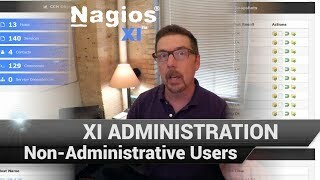 This video in the Nagios XI Administration series will cover administrative user accounts and will cover audit log, NRDS, administrative and standard users, active directory and ldap integration as well as custom action URLs. 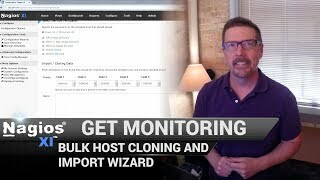 This video in the Get Monitoring series will cover using bulk host cloning and import wizard for advanced monitoring in Nagios XI. 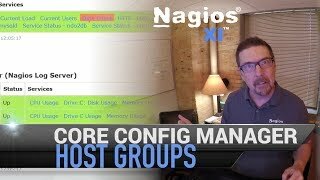 This is helpful for anyone setting up to monitor an organization for the first time with hundreds, if not thousands of hosts as well as anyone migrating from another solution to Nagios XI. 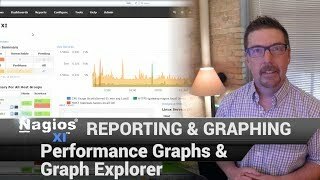 This video in the Reporting and Graphing series in Nagios XI will cover performance graphs and graph explorer. 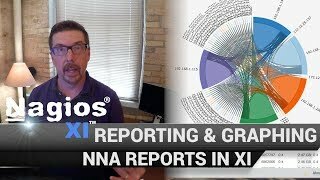 This video in the Reporting and Graphing series in Nagios XI will cover Enterprise Edition Reports and Features including SLA reporting, capacity planning and the ability to schedule reports for automatic delivery in the future. 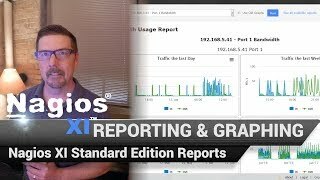 This video is part of the Reporting and Graphing series in Nagios XI and will include standard edition reports. Aaron will also take you through availability summary, executive summary, state history and alert histogram. 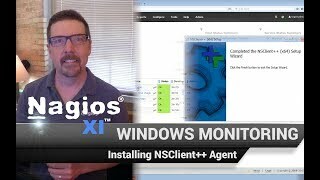 This video in the Windows Monitoring Series in Nagios XI focuses on installing NSClient++ Agent. 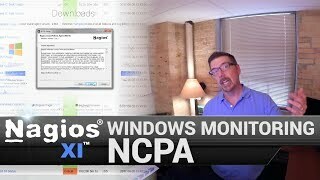 Monitor all your windows things by using an agent or a protocol. Agents will help you execute remote plugins. Easily install in less than 5 minutes. Learn advanced monitoring in Nagios XI with the configuration wizard template. See many configuration wizards and templates. Set up notification settings and configure host groups, service groups and parent-child relationships. Manage templates, edit them and more with help from this brief tutorial. Give yourself power over your IT Infrastructure with Nagios. Your organization can contain a complex system of computers, servers, services, applications and more. A large amount of data floating around in the cloud. It requires an interpreter. A guide. A watch guard in order to make sense of it and help promote efficiency and network security. Monitoring and managing your infrastructure's data has all been streamlined through one suite of solutions. Nagios. 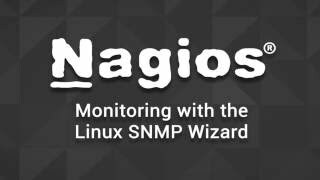 This Nagios video guide will demonstrate how to monitor a Linux Machine using the Linux SNMP Wizard in Nagios XI. 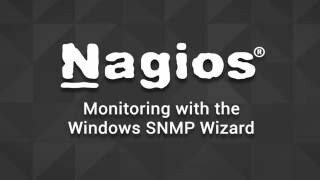 This Nagios video guide will demonstrate how to monitor a Windows Machine using the Windows SNMP Wizard in Nagios XI. 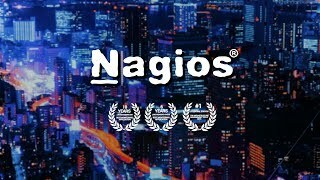 FAQ: What Platforms does Nagios XI Run On? Hello! 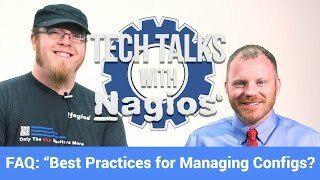 And welcome to Tech Talks with Nagios, where we talk about recent updates, changes, and new things to discuss regarding Nagios solutions! 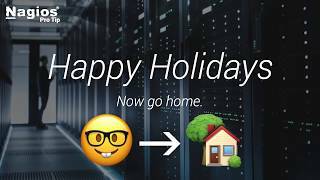 Today, we address some of the Frequently Asked Questions in this FAQ video regarding what platforms Nagios XI runs on! For any additional help regarding Nagios XI, you can contact our Support team. FAQ: Best Practices for Managing Configs? Hello! And welcome to Tech Talks with Nagios, where we talk about recent updates, changes, and new things to discuss regarding Nagios solutions! 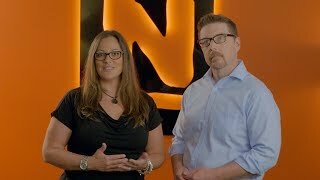 Today, we address some of the Frequently Asked Questions in this FAQ video regarding some of the best practices you can utilize when managing your configs in Nagios XI. 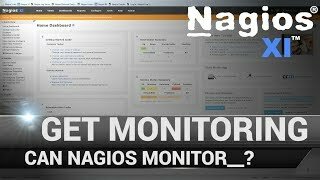 What can I Monitor with Nagios XI? Hello! 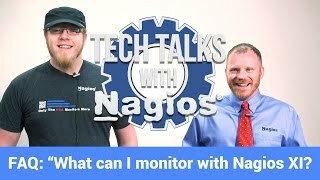 And welcome to Tech Talks with Nagios, where we talk about recent updates, changes, and new things to discuss regarding Nagios solutions! 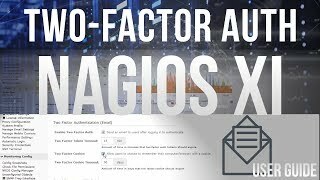 Today, we address some of the Frequently Asked Questions in this FAQ video regarding what you can monitor with Nagios XI! 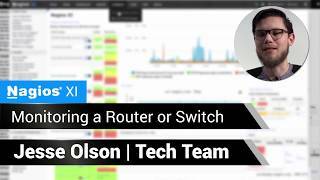 Servers, switches, routers, toasters! You can see a full list of plugins via the Nagios Exchange. Plugin development guide is available here. 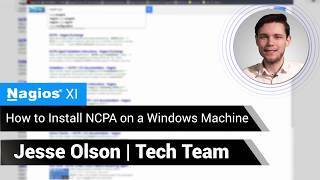 This video will demonstrate how to install the Nagios Cross Platform Agent (NCPA) on a Windows Machine. 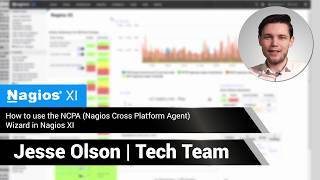 NOTE: A good follow up video would be: "How to Use the NCPA Wizard in Nagios XI"
This video will demonstrate how to use the Nagios Cross Platform Agent (NCPA) wizard in Nagios XI. 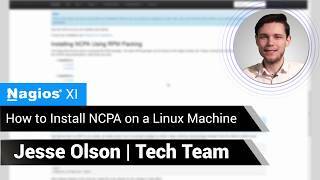 This video will demonstrate how to install the Nagios Cross Platform Agent (NCPA) on a Linux Machine. 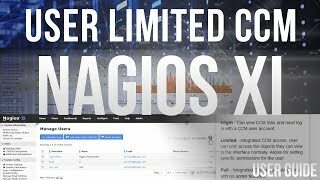 Cloning Users in Nagios XI. 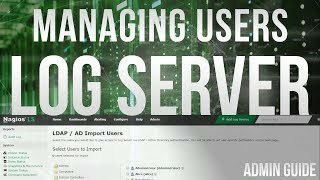 This video tutorial will demonstrate how to clone users in Nagios XI, for the purpose of creating new accounts based on past account templates. Monitoring TCP/UDP ports with Nagios. This video tutorial will demonstrate how to Monitoring TCP and UDP ports in Nagios XI, via the Monitor TCP/UDP Wizard. 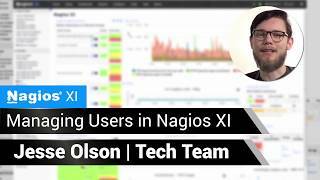 Managing Users in Nagios XI. More about managing users can be found on the PDF's below. 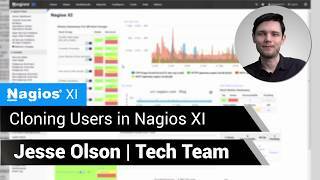 This video tutorial will demonstrate how to manage and create users in Nagios XI. 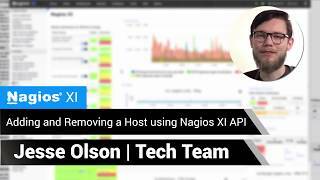 This video will show you how to add and remove a host using Nagios XI API. 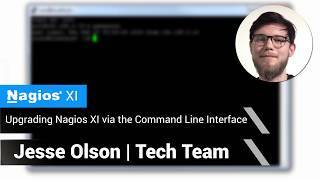 Upgrading Nagios XI via the Command Line Interface. 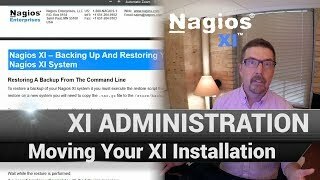 This video will show you how to upgrade your Nagios XI installation via the Command Line Interface. 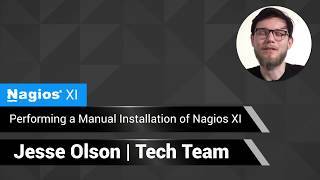 This video demonstrates how to perform a manual installation Nagios XI onto a clean, minimal installation. Click here for full instructions. 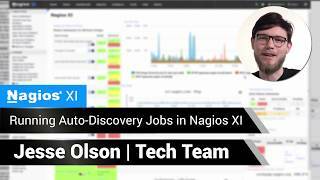 This video will demonstrate how to use the Auto-Discovery Wizard in Nagios XI to run jobs. 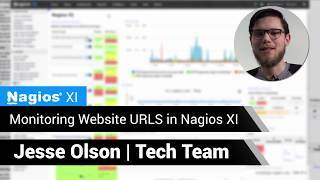 This video demonstrates how you can monitor Website URLS using Nagios XI via the Monitoring Website URL Wizard. It's fast, easy and fun to monitor any URL you choose! 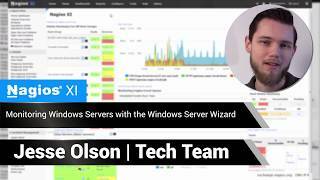 This video shows how simple it is setup how to monitor a Windows Server, utilizing the Windows Server Wizard available in Nagios XI. The same process applies to the Windows desktop wizard. 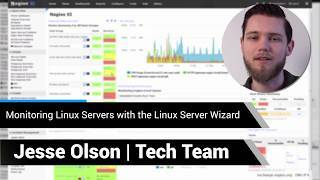 This video will be covering monitoring Linux servers with the Linux Server Wizard in Nagios XI. 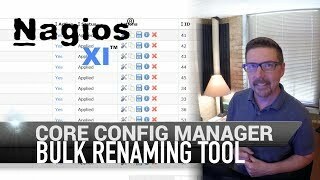 This video shows how to Access and Utilize the CCM (Core Configuration Manager) at a basic level in Nagios XI. 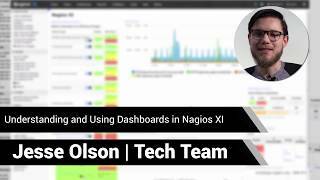 Understanding and Using Dashboards in Nagios XI. You can customize your dashboard to suit your needs in Nagios XI. Simply define the dashlet and organize the layout to your liking. 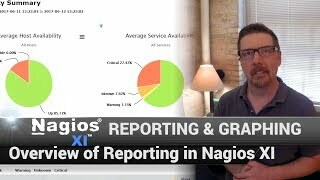 This video provides a basic understanding and utilization of Dashboards and to a lesser degree, dashlets in Nagios XI. 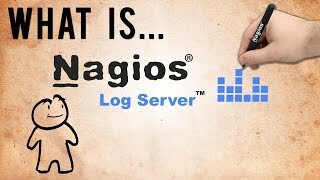 So, what is Nagios Log Server? To put it simply, Nagios Log Server is an enterprise class log monitoring and management tool, designed to help organizations quickly view, sort, and configure logs from any source on any given network.